By the end of 1952 Cathryn had divorced Bill Ludwig Jr. (changed her last name back to White) and devoted herself to a full time work load and life as a single parent. Cathryn's responsibilities grew at the company to include filling for her mother when she went on vacations or felt ill. During these years Cathryn was working hard to get big name artists to endorse King at every opportunity. In 1952 Cathryn took a cross country trip to call on dealers and work at a music convention in Las Vegas. Cathryn's (Kay) hard work paid off when she convinced Harry James to stop by the plant and try the new Super 20 trumpet. Harry wanted an instrument that had the valves moved forward a few inches to accommodate his long arms and while he was in Cleveland Mrs. White put a team of designers and craftsmen to work on his requirements. By the time that Harry left the plant he had traded in his Selmer trumpet for a H. N. White "Super 20 Silver Sonic" and signed a deal to endorse King trumpets. 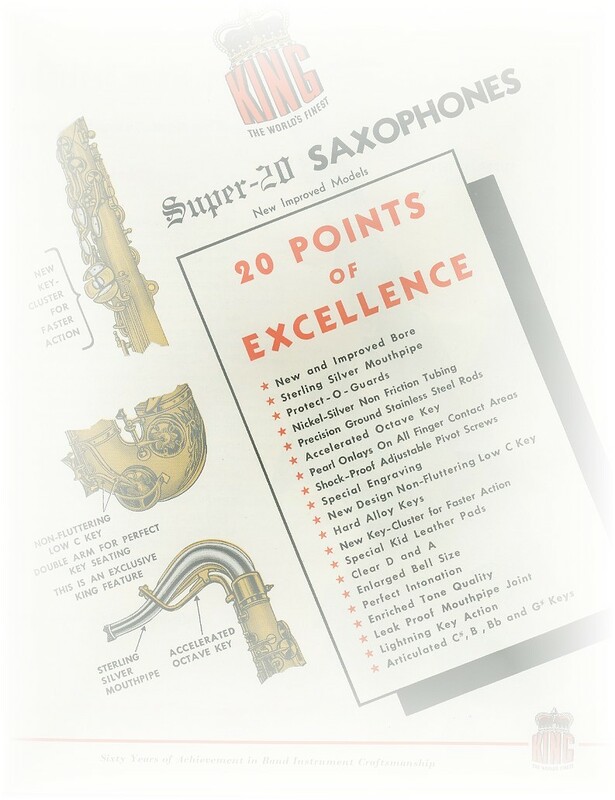 Harry's first few Super 20's were normal production trumpets, but by the end of 1952 Harry took delivery of his "balanced" model. This change in trumpets and endorsement deal was due in large part because of the friend ship Harry had started with Mrs. H. N. White and Cathryn. 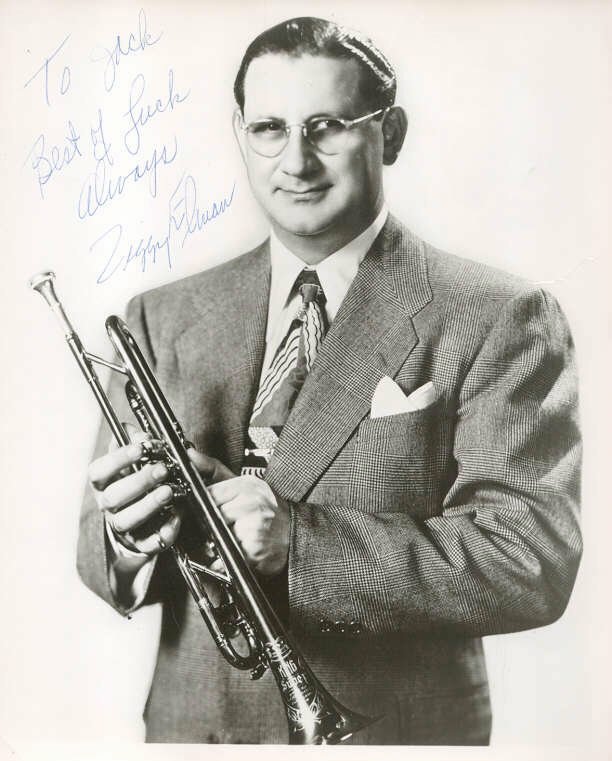 For the next thirteen years when Harry was in Cleveland he would stop by the King plant (to pick up a new trumpet) and would spend hours talking with "Mom White" (Edna) and would go out for an early dinner with her before going to his gig. If Harry was ever in town around the Holidays he would have dinner a Edna's house. 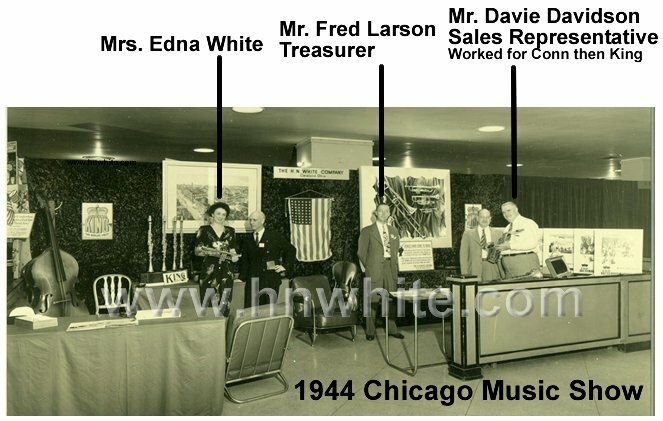 The H. N. White story is completed with the best information available, and if you can provide more accurate information your help is greatly appreciated.